The instruments of the MultiHandy family fulfill the basic requirements to mobile data measurement reliably. Calculations in real-time can be determined and documented easily. Therefore, MultiHandy instruments are the ideal entry solutions. 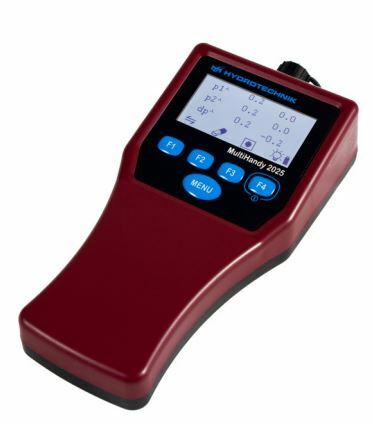 The MultiHandy 3020 fulfills with its 3 input channels, a rugged housing and a USP port, the basic requirements for mobile data measurement reliably. Calculations in real-time can be made on an additional channel. Therefore you can identify easily the pressure difference (delta-p) and document it with the software. 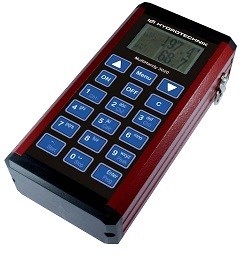 The MultiHandy 3025 is identical to the MultiHandy 3020 (link), except with its capacitive keypad and its new control panel. This allows a one-hand-operation and accelerates the scrolling on the different keys and lists. Your mission: Measure precisely complex modern hydraulic system data! You have the perfect Instrument: The new MultiHandy 2025.